Welcome to a special edition of The Magic, the Memories, and Merch! 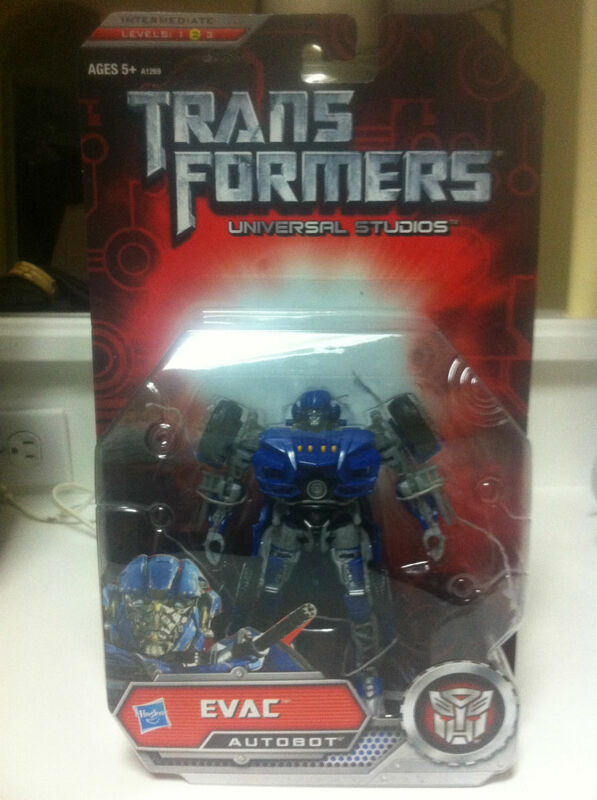 Today we’re going to examine an exclusive action figure that is only sold at the Universal Studios theme parks and is based around the attraction Transformers: The Ride-3D. Transformers: The Ride-3D was originally built at Universal Studios Singapore in 2011, followed by a Universal Studios Hollywood version in 2012, and the most recent one opened in Orlando on June 20th, 2013. In this 3D dark ride, guests board the Autobot Evac, a character created exclusively for the attraction. Throughout the attraction, Evac interacts with many of the most well-known Transformer characters including Optimus Prime, Bumblebee, Megatron, and Starscream. In many ways the Transformers attraction is the journey of Evac, who starts off as rookie and is given a trial-by-fire which eventually ends with Evac being a primary reason the Autobots save the day and defeat the Decepticons. EVAC is used to dodging laser fire. His entire life, Decepticons have gotten in his way, and tried to stop him. They’ve never succeeded. No matter how overwhelming their attack, EVAC knows that with Optimus Prime and Bumblebee covering him, nothing will stop him from delivering his passengers safely. 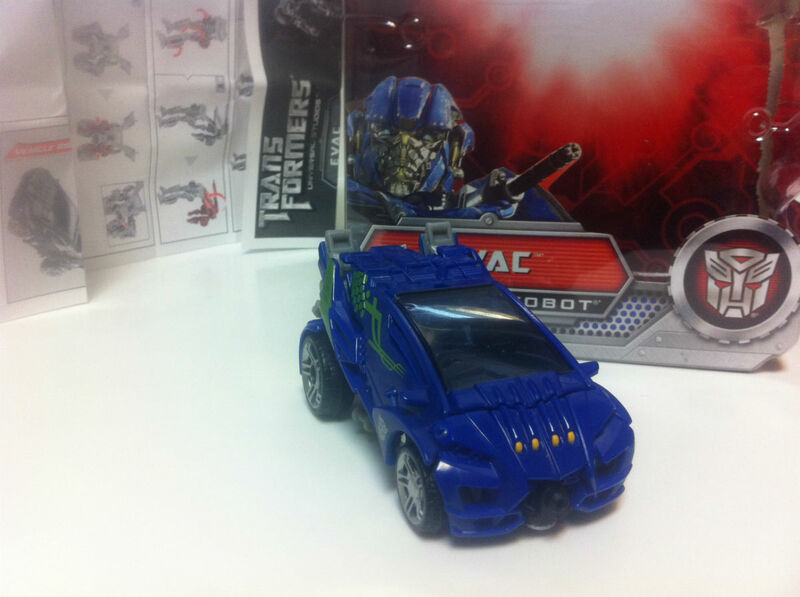 There are two versions of Evac available. The Level 1 series of figures are $12.95, stand approximately 3 inches high,have extremely limited movement and are good toys to introduce young children to the Transformers universe. The Level 2 Evac is $24.95 and is the one we’ll be looking at in detail. You may think the $24.95 price tag is a bit steep, but this is an extremely rare figure. 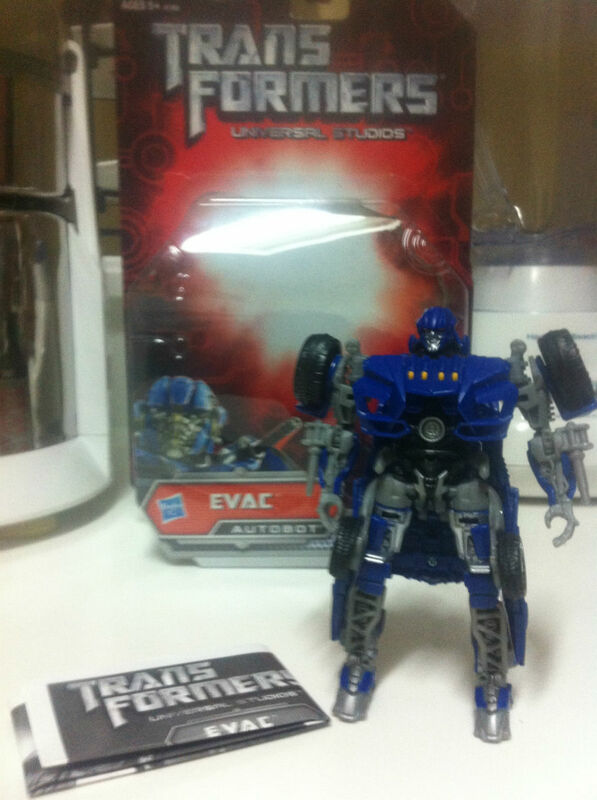 Transformers guru (and cohost of the WDWNT podcast) Scott Smith says that Evac is only the second figure in the history of the Transformers brand that was created for just one purpose. Because making the mold of a Transformer is so expensive, all of the exclusive figures that fans can pick up at the San Diego Comic Con or the Transformers themed BotCon are just repaints or repackaged versions of previously made molds. The only other Transformer created specifically for one run was commissioned by Chevrolet. Out of the package, the detail in Evac really shines. Great color schemes, good articulation allowing for some cool looking poses, and incredible detail throughout the figure. Because several of the pieces are on ball joints it allows you to have some pretty cool movements in the head and other areas of the body, much more than the Transformer Generation 1 toys that I grew up with. While the Level 2 version of Evac does not come with any extra weapon accessories, he does have some nifty guns around his waist. Other than the figure, the only thing that comes inside the package is a folded up set of directions. It’s been a long time since I had “transformed” a Transformer, and after unfolding the directions it seemed a little daunting. It was not unlike getting a piece of furniture at IKEA and realizing there’s 2437 steps in putting the simple bookshelf together. The directions are two sided. 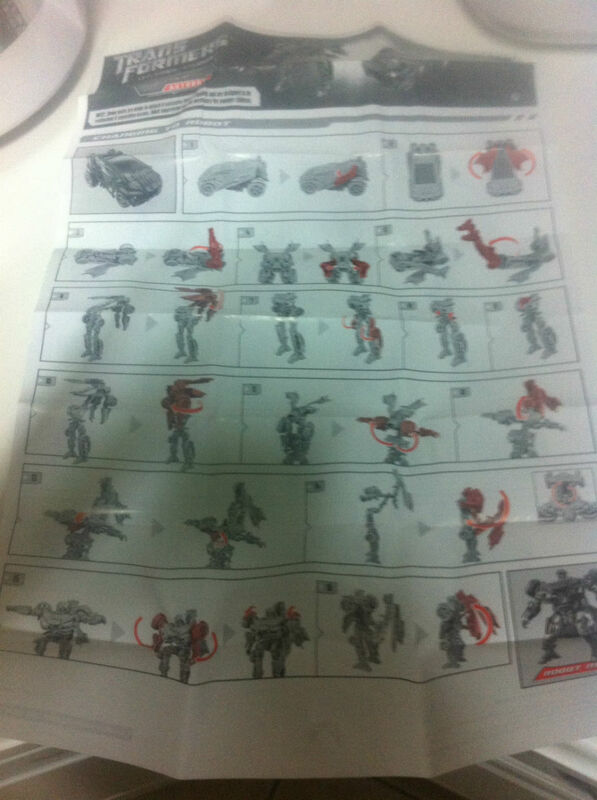 One side allegedly shows you step by step on how to convert Evac from his robot form into his vehicle form, and the other side shows you how to get from a vehicle back to a robot. I say allegedly because I was completely lost trying to figure the process out by following the directions. After ten minutes of trying and retrying to follow the directions I just looked at the back of the package and tried to “reverse engineer” the process to turn it into the car. The ironic part of all this is that many Transformers collectors, including Scott Smith, feel that this Transformer may be too easy for a deluxe figure. As if I need another reason to feel old. Like the robot form of Evac, his car form is really sharp. As an added bonus, the doors of the Evac vehicle go up very similar to how they operate in the ride itself. The vehicle also has several seats in it, and although they are slightly different than the actual attraction version, it “feels” right and looks great. The vehicle mode could almost pass for a car from a Fast & Furious toy line as it looks like it has thrusters in the back and a nice looking paint scheme. This is a fun toy that kids and fans of the Transformers should really enjoy. It was a genius idea to make this character the actual ride vehicle in the attraction. Guests see Evac in his robot form during the queue videos and we experience riding inside Evac during the attraction. Evac guides us through Transformers: The Ride 3D and is more relatable a character than almost anyone in the recent Transformers films by Michael Bay. Getting off the ride the first time I immediately wanted an Evac figure and it definitely brought me back to the days of my childhood when I would scour Toys R Us looking for a Dinobot. I would have liked to see at least one accessory come with Evac, and if it were my call I’d put in a shard of the Allspark in lieu of a weapon. The Allspark would tie in perfectly with the ride itself along with the attraction’s queue and even the chocolate Allspark that is exclusive to Universal. While the $24.95 price point is a bit on the high end, you are paying for an original Transformers action figure that you can only get at Universal. 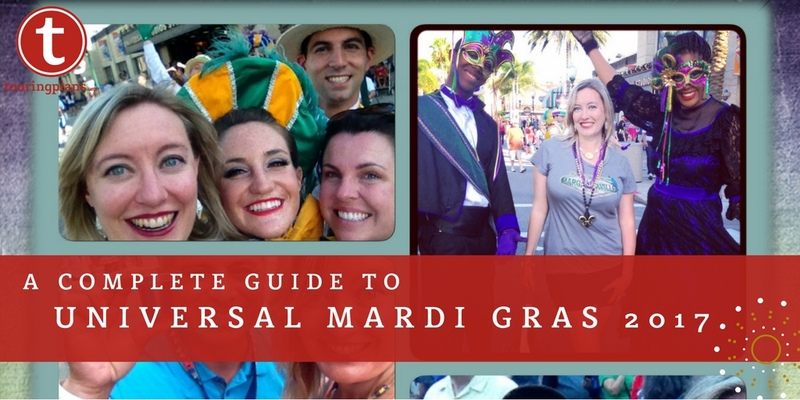 The entire Universal Orlando Resort is great when it comes to offering savings, so be sure to ask for the Annual Pass/AAA discounts. That’s it for this edition of The Magic, The Memories and Merch! If you have a piece of merchandise you’d like to see reviewed, leave a note in the comment section below. Whether it’s the exclusive wands available in the Wizarding World of Harry Potter, the Girl Scout-parody Yummy Cookies at Despicable Me Minion Mayhem‘s Super Silly Store, or the pressed pennies at the Nascar Sports Grille in CityWalk, the Universal Orlando Resort is filled with all sorts of interesting pieces of merchandise you can’t find anywhere else and we’ll be here each and every week to cover the good, the bad, and the ugly. 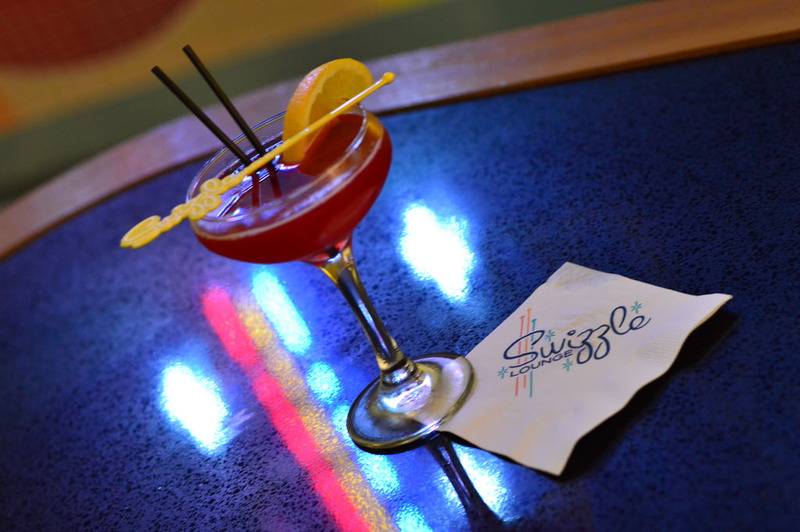 Be sure to check out The Saturday Six and Universal NOW! on the TouringPlans.com Podcast Network for even more Universal coverage. ← Yellow Dog Eats – Worth The Drive!